Desire is all Noel, our Development Coordinator, had when she decided to build her own bike last June. Since she didn’t quite know where to start with this project, she asked Patrick Loftus, our Service Manager at the bike shop (and author of the fantastic Shop Tips) for assistance. Noel rides her bike everyday. She wanted to build her own bike to learn from the process, and to feel more connected to it. 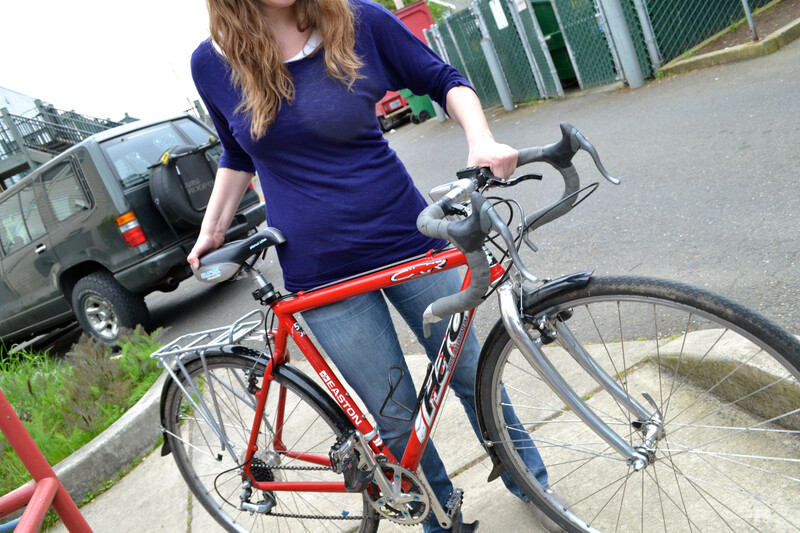 “I haven’t known that much about my other bikes,” she said. Now Noel is able to tell what is wrong with her bike just by the sound that it’s making. 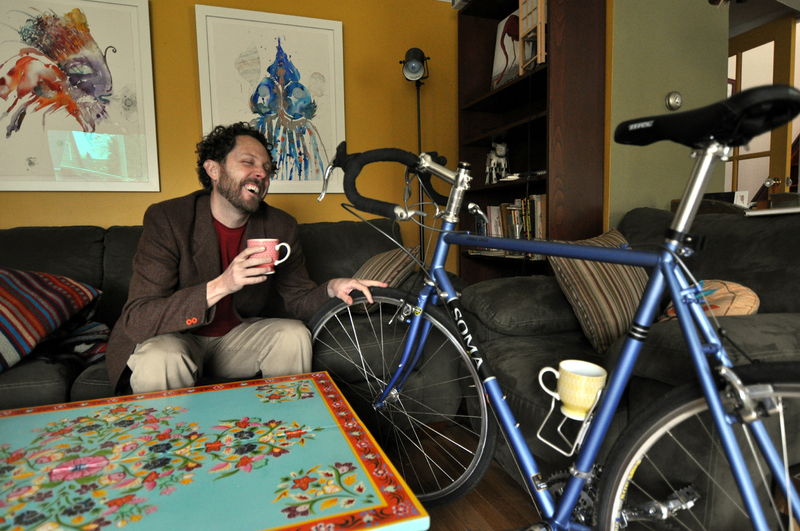 Van Wheeler, a shop customer, wanted his “first new bike other than the Huffy my dad got me for my 6th Christmas.” He wanted to build it after learning that occasionally some bike companies will put mediocre parts on a great, new frame to keep costs down. Rather than build it himself, Van had our awesome mechanics build his bike for him. “I have some DIY tendencies, but I knew if I built it myself, I’d be old and/or mad before I was done,” he said. He looked into building it at several shops around town, but chose the Community Cycling Center for the great, affordable selection of both new and used parts. “Gram was great,” Van said. 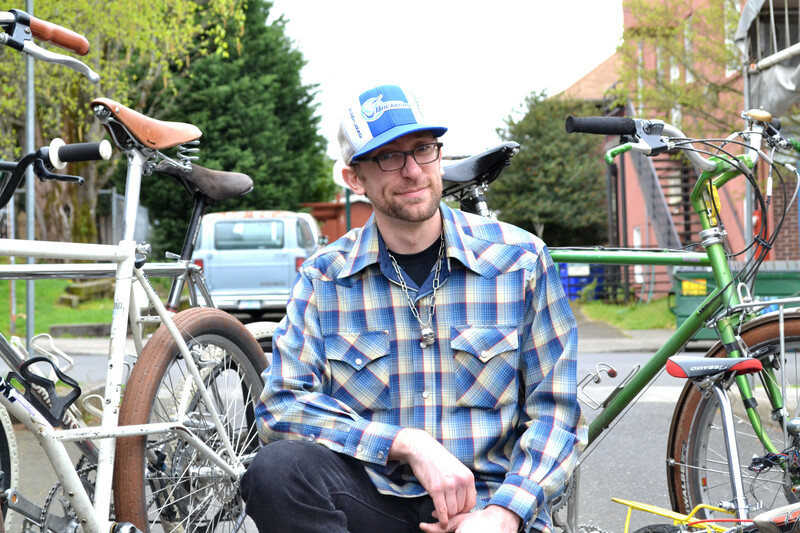 “He helped me choose components, figure out what I could buy used or new—a lot of the used parts came from the Community Cycling Center. So now I’ve got this Soma Double Cross with mostly fantastic components, but it didn’t break the bank.” And all of the extra effort was worth it. 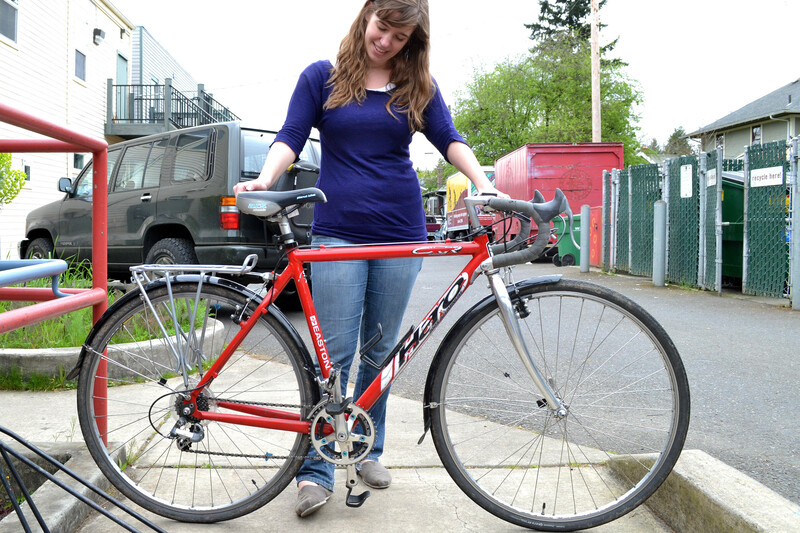 “It is so nice to ride a quick, responsive bike that fits me perfectly,” Van added. Whether you’re building a bike from scratch, or are just searching for a specific part, our bike shop is a great resource. “Ask questions,” Gram recommends. “No one is trying to hide their knowledge.” He also recommends that you bring your bike and parts with you to the shop so that you can test for fit. Make sure you come in before the end of April so that you can take advantage of our Build-a-bike special – buy a frame and save 20% on the frame and all used parts.